I haven’t posted an update on what I’ve been working on for a couple of months, so it’s time to do that. It’s also time for a fairly major announcement. June was a busy month for reasons that had nothing to do with my writing (unfortunately). My family and I sold our house and moved to temporary dwellings while our new house is being built. That took up just a tad bit of time. I’ve now established a temporary office and made some significant progress on the third draft of Yesterday’s Demons during the rest of June and July. And that leads me to my announcement. I’ve decided to independently publish Yesterday’s Demons. I put a lot of thought and prayer into this decision and I strongly feel it is the right one. Therefore, based on my current projected schedule, I can say that I expect Yesterday’s Demons to be available in ebook sometime in the first half of 2016. I also have plans to publish it in paperback, but on Day 1, it will be exclusively an ebook. Expect a lot more details on this in the months to come. I do still plan to return to Simon Bradley and the X-Ray Specs and get a second draft of that book completed. But I’m not sure when at this point. I’m beyond excited about this. I feel like Bilbo Baggins running through the Shire. “I’m going on an adventure!” I’ll have a lot more related news in the coming weeks and months, and I can’t wait to share it with you. Keep reading! So exciting, Mike! 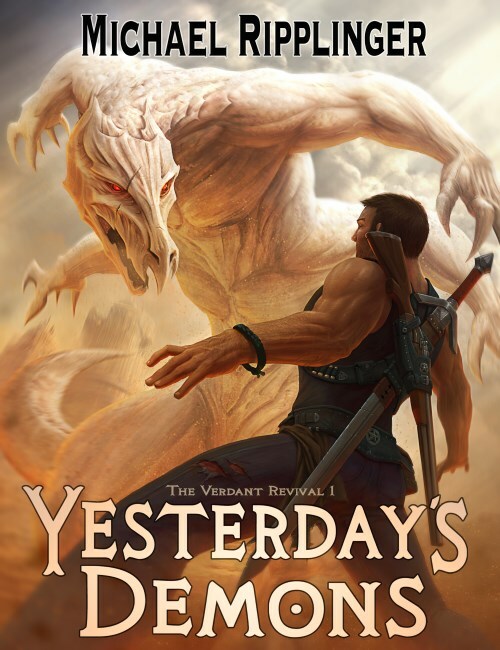 I’m really looking forward to having my own (hopefully autographed) copy of Yesterday’s Demons. Of course, I’ll also be glad to finally be able to recommend it to people and have them get a copy!